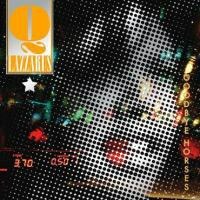 The Mysterious Legacy of Q Lazzarus' "Goodbye Horses"
It's hard to believe that over some 25 years ago, Q Lazzarus' sole hit, the strangely entrancing thump of "Goodbye Horses", was featured quite prominently in a well-received movie. That movie, of course, was Married to the Mob. Actually it is. Years before "Goodbye Horses" soundtracked one of the most unique scenes in cinema history during Silence of the Lambs, the song found quite a home in the Michelle Pfeiffer vehicle Married to the Mob. Even these decades down the line, still not much is known about the mysterious chanteuse Q Lazzarus aside from the fact that she worked as a taxi driver prior to being discovered as a singer (she later went on to have minor singing parts in films like Something Wild and Philadelphia, but almost entirely disappeared after that). To celebrate the anniversary of the release, "Goodbye Horses" is being put out on limited-edition vinyl via Mon Amie records, the a-side featuring Q Lazzarus' original rendition, the b-side being a remarkably astute, considered cover of the song by Wild Beasts' Hayden Thrope and Jon Hopkins. "Jon has a sensibility which deeply resonates with me. When our mutual friend and Mon Amie records founder Mona Dehghan brought us together it seemed the perfect excuse to try working together and see what happened. Actually undertaking the cover felt effortless. We figured out our approach in one go, he played the piano beautifully, figuring it out as he went along and I sang as best a could, it felt just right. The track itself is really alluring, very enigmatic and quite unusual in subject and approach. I suppose it lends itself perfectly to being covered because of that. It took me a few days to clear my head once we'd done the cover, a fog kind of descended, the song is pretty heartbreaking." "This entire track was recorded, produced, and mixed from scratch in one day. It was one of the most intense recording experiences I’ve had, but not because it was hard work -- it actually seemed to form itself very quickly -- but because of the strange psychedelic intensity of the source material. There is a darkness inherent in the lyrics that was so amazingly suited to Hayden's voice. Once we had played through the song together for the first time, it became clear to me that nothing was going to be needed apart from piano, some sort of pulse, and some distant darkness. The piano was first take, the vocal was first take, and everything else was built out of processed versions of those two things. The final result scares me for some reason. We both felt like something weird had happened that day, that there was this incredible atmosphere, like we were channeling the strange and dark things that surrounded the makers of the original." It's somewhat amazing/quite wonderful to see such a quirky tune still find relevance some years down the line. Buzz has there might even be some more, lesser-known Q Lazzarus material released in the near future. No matter how it turns out, we're just as curious as you are to hear what it sounds like.